It is axiomatic in the insurance law is that a policyholder’s prior actions will not necessarily void coverage for a loss, even if that loss is directly caused by the negligence of the individual. After the loss, however, failing to take the appropriate measures to mitigate could lead to an increase in the amount of damages and may substantially reduce coverage, or even lead to a valid denial of coverage by the insurance company in some instances. In a fire loss, for instance, the insured should make sure to remove any undamaged property if there is a question about the stability of the walls in that particular area. This was the exact situation that one court addressed in Suttir v. Indemnity Co. of America, St. Louis, Mo,. 226 Ill.App. 214, (1st Dist. 1922). In this case, the Court refused to hold an insurer liable for damage to a car that occurred when a building’s walls located directly next to it collapsed as a result of previous fire damage. The Court reasoned that the insured knew the walls of the building might collapse and had failed to properly mitigate the damages by moving the automobile to a different location. Therefore, the insurer should not be responsible for the further damages. The consequences of a failure to mitigate are determined by the terms of the policy as well as the laws of the jurisdiction in which the property is located or of which the law governs, depending on the contract. Normally, the damages that result from the failure to mitigate the loss may not be covered, leaving the insurer responsible for only the original damages. A Louisiana court followed this partial recovery theory when a policyholder’s roof was damaged by wind and the house suffered periodic water damages over a long period of time. Higginbotham v. New Hampshire Indem. Co., 498 So.2d 1149 (La.App. 3 Cir.1986). In Higginbotham, the Court held that although the insurer was responsible for the cost of replacing the roof, the policyholders’ were liable for damages sustained to the premises after the storm under the rationale that a policyholder could have taken reasonable remedial measures to prevent further damage. A similar decision was reached in Texas, when one court was asked to determine whether the duty to mitigate damages was a condition precedent to recovery, meaning that coverage was void if the appropriate steps were not taken. 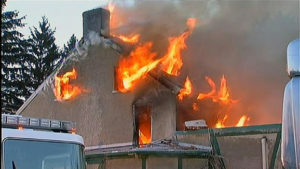 Fortunately for the policyholder, the Court found that “the failure to mitigate damages is an offset to recovery under the generic homeowners policy, and the district court erred and abused its discretion when it instructed the jury that mitigation was a condition precedent to recovery.” Carrizales v. State Farm Lloyds, 518 F.3d 343 (5th Cir. 2008). There are cases in which a failure to mitigate may void coverage completely. Some courts have found that where the cooperation clause requires an insured to exercise all reasonable means to protect, safeguard, and salvage property, there is a possibility that the policyholder could void coverage altogether if this is not done. See Slay Warehousing Co., Inc. v. Reliance Ins. Co., 471 F. 2d 1364 (8th Cir. 1973). Regardless of whether coverage is lessened or outright forfeited, these cases all have one thing in common – the problem could be avoided. Generally after loss, the first thing on an insured’s mind is not “how can I mitigate these damages, and have I done enough to comply with my obligations under the policy.” In fact, most policyholders do not even know what the cooperation clause is, and who can blame them? How many people spend their lives immersed in insurance case law and treatises?